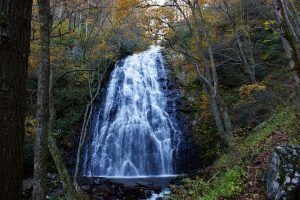 Check out this great information on Crabtree Falls from www.blueridgeparkway.org. Crabtree Falls is accessed by one of two routes: a three-mile total hike that leads to the base of the falls or a more strenuous 3.5-mile loop trail that leads to the top of the waterfall. Visitors say, whichever path you take, the view and chance for great photos are worth the climb!